BusStop Mag: Skateboard Art Show, Jan 7th. 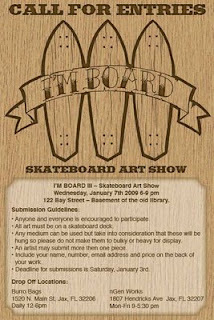 Skateboard Art Show, Jan 7th. Do you have information of upcoming events, photos to submit to the weekly photo gallery, or general questions regarding the site? BusStop Magazine's Calendar of Events.